In this project, I exposed the specters of Google’s eternal realm of private, misappropriated data: the bodies of people captured by Google’s Street View cameras, whose ghostly, virtual presence I marked in Street Art fashion at the precise spot in the real world where they were photographed. 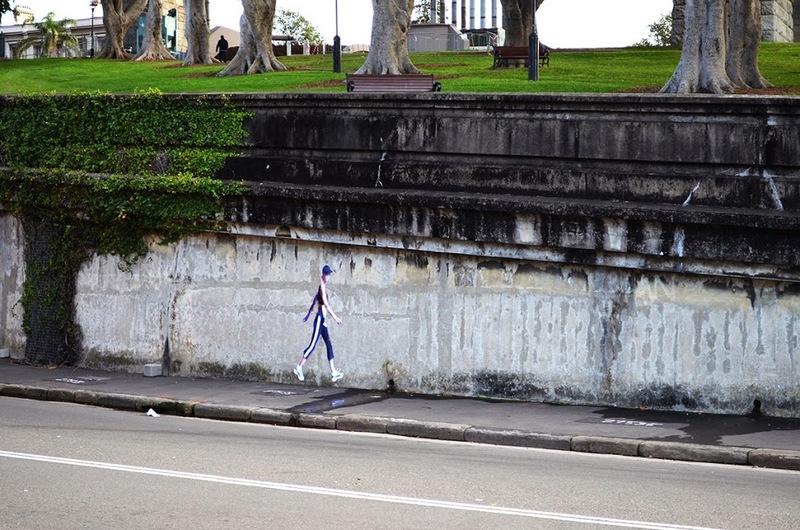 Street Ghosts hit some of the most important international Street Art “halls of fame” with low-resolution, human scale posters of people taken from Google Street View. These images do not offer details, but the blurred colors and lines on the posters give a gauzy, spectral aspect to the human figures, unveiling their presence like a digital shadow haunting the real world. This ready-made artwork simply takes the information amassed by Google as material to be used for art, despite its copyrighted status and private source. As the publicly accessible pictures are of individuals taken without their permission, I reversed the act: I took the pictures of individuals without Google’s permission and posted them on public walls. In doing so, I highlight the viability of this sort of medium as an artistic material ready to comment and shake our society. http://goo.gl/maps/j3APo - Under the bridge George Town. Visit the Street Ghost locations for Free!